When it was built in the 1930s, the Lolo Motorway replaced historic paths that traversed the ridges west of the Bitterroot Divide. Although narrow, rocky and slow-going, the route built with help from the Civilian Conservation Corps provided access into the mountains. The route the motorway follows once bore the footprints of early Indians. The Nez Perce people (Nimiipuu) called the route “K’useyneisskit,” the buffalo trail. 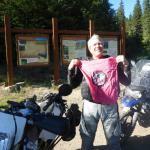 For them the trail was a land bridge between the Columbia River Basin and the Northern Plains. The Lewis and Clark Expedition struggled along these same ridges, on their journey west in 1805, and on their return trip in 1806. In the 1860s the Bird-Truax route was surveyed and constructed along the ridge line to accommodate traffic to the gold fields of present-day northern Idaho. In 1877 the non-treaty Nimiipuu followed the route in their flight from General O. O. Howard and his Army troops. In 1991 the long and circuitous route they traveled, including this segment, became part of the Nez Perce (Nee-Me-Poo) National Historic Trail. The Lolo Motorway (NF-500) officially begins at Canyon Junction and ends at Powell Junction (intersection of NF-500 and NF-5650). Photo taken on July 11. 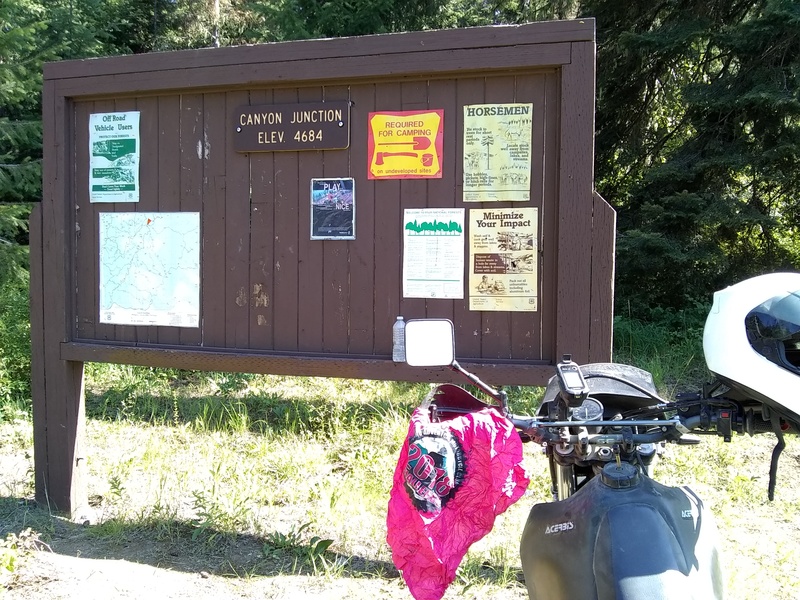 This is the third or fourth time I have riden NF-101 from Hwy-12 to the official start of the Lolo Motorway -- 25 miles (one way) of pea gravel on a very twisty mountain road. 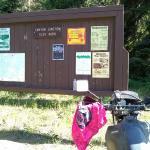 We couldn't ride from the Cayuse airstrip to the Lolo, Toboggan ridge had not been cleared al the way to the Lolo. 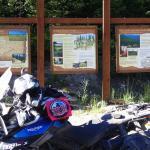 Had to go the long way around to Montana and over to highway 12 then down to FS road 101 up the junction.